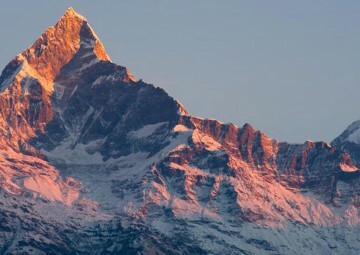 Annapurna Foothills trek is a very good introduction to the Himalayas, where you do not go very high but still enjoy the breathtaking view of the mountains and the tranquillity of the countryside. Along the trail of Annapurna Foothills trek we appreciate the magnificent oak and rhododendron forests as we ascend to alpine meadows that afford spectacular views of the Annapurna range. The Annapurna Foothills trek is a unique experience to visit the local schools and markets where cultural horizons are so different from the western world. Extra Airfare: Kathmandu-Pokhara-Kathmandu is USD 216 per person on sharing basis which is subject to change without prior notice by the airlines. Day 1 Day 01: Arrive in Kathmandu. Overnight at hotel in Kathmandu. Our Representative will be receiving you at the Airport. You will be then transfer via four wheel transport to your respective Hotel. You will be explained briefly about the program while you are on your way to Hotel as we also provide you the detail Itinerary. Rest of the day varies upon your arrival time; we can organize some activities if you arrived by midday or early afternoon but late afternoon and evening arrivals have a free day for individual activities. Overnight at hotel. Day 2 Day 02: Kathmandu Valley Sightseeing. Overnight at Hotel in Kathmandu. Sightseeing starts with a visit to Bhaktapur Durbar square where it’s major attractions are Golden Gate, Nyatapole, 55 Window Palace, The Temple of Bhairavnath, Dattratraya Temple. After the visit of Bhaktapur, We continue our tour ahead to Patan Durbar Square to explore Krishna Mandir and Patan museum. Afterwards, head on to Boudhanath Stupa, one of the biggest Buddhist shrines in the world, where we observe Buddhist monks in prayer in the monasteries surrounding the tupa. Then, On the way back to your hotel you can have a quick look at Pashupatinath Temple. The rest of your time in Kathmandu is free for further exploration and some last-minute shopping in shopping areas nearby your hotel. Overnight at Hotel. Fly fom Kathmandu to Pokhara which takes approx 25 minutes flight and straight drive to Phedi, starting point of trek. 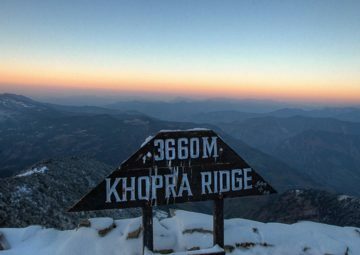 Subsequently trek to Dhampus which will be very easy trek on same day up to 1700 m height consuming 2-3 hours of your time. Realx and enjoy the scenery, walk around the village. Overnight at Lodge/Tea House. 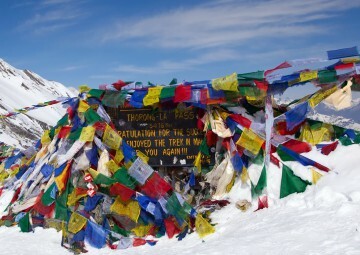 Day 4 Day 04: Trek to Landrung (1699m). Overnight at Lodge/Tea House. Trek from Dhampus to Landrung, which is a Gurung town at an altitude of 1699 meters. The trek duration is from five to six hours through the rhododendron forest covering quarter time of the trek. Landrung is asecond large Gurung village situated above the Modi River where we will stay the night in a local tea house. Day 5 Day 05: Trek to Ghandruk (1940m). Overnight at Lodge/Tea House. After Landrug, Trekking goes ahead to Ghandruk village.From here you can have stunning views of Annapurna South, Hiunchuli, Gangapurna, Annapurna III and Fishtail/Machhapuchhare. Ghandrung is a picturesque town of slate-roofed houses surrounded by terraced fields and is the biggest Gurung settlement in western Nepal. Consumed time on trek is approximately 4-5 hours. Overnight at Lodge/Tea House. Day 6 Day 06: Trek to Tadapani (2710m). Overnight at Lodge/Tea House. Leaving the beautiful Ghandruk village behind you reach to Tadani by 4-5 hours walk. Closest view of Mt. Fishtail and Annapurna range can be obtain from here. Overnight at Teahouse/Lodge. Day 7 Day 07: Trek to Poonhill and return back to Ghorepani(2850m). Overnight at Lodge/Tea House. Early morning trek to Poonhill for observing beautiful sunrise and a magnificient mountain view. Return to Ghorepani where you can have good panaromic view of the Mt Dhaulagiri. Time covered by trek: 5-6 hours. Overnight at Teahouse/Lodge. Day 8 Day 08: Trek to Tirkhedunga (1577m). Overnight at Lodge/Tea House. After observing and retainining the memories, Early morning we head back to Tirkhedunga which covers 5-6 hours of your time. Overnight at Tirkhedunga village on teahouse/lodge. Day 9 Day 09: Trek to Nayapul & Drive to Pokhara. Overnight at Hotel in Pokhara. A pleasant walk of 3-4 hours from Tirkhedhunga makes you reach to Nayapul and then you straight drive ahead to Pokhara. Relax on lakeside, Pokhara. Overnight at Hotel in Pokhara. Day 10 Day 10: Fly to Kathmandu. Free Day. Overnight at Hotel in Kathmandu. After breakfast, fly back to Kathmandu. Rest day, shopping at your own, explore around Thamel area. Overnight in hotel. Day 11 Day 11: Final Departure . Our office representative will come to hotel to pick you up at hotel and then transfer to the Kathmandu international airport for final departure. All Airport and hotel transfer by private a/c vehicle. One night accommodation in a star category hotel in Pokhara on bb sharing basis. One highly experienced male guide, porters (1 porter for 2 people). Nepal entry visa: you can obtain a visa easily upon your arrival at Tribhuwan International Airport in Kathmandu. (a multiple-entry tourist visa good for 30 days can be obtained by paying USD 40 or equivalent foreign currency. Similarly, multiple-entry tourist visas for 90 days can be obtained by paying USD 100. Please bring 2 copies of passport-size photos.